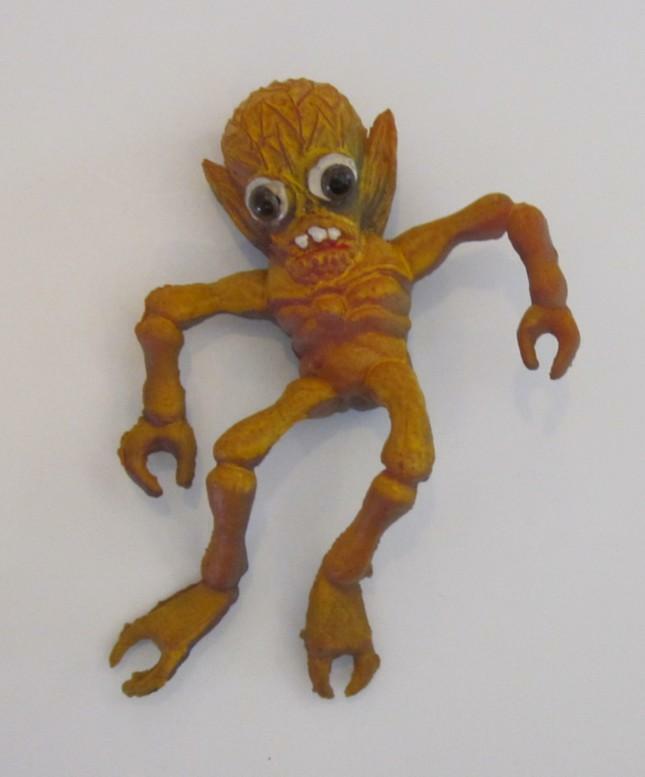 This page is for toys that are related to the Outer Space Men because they are part of a line that did an OSM knock off. 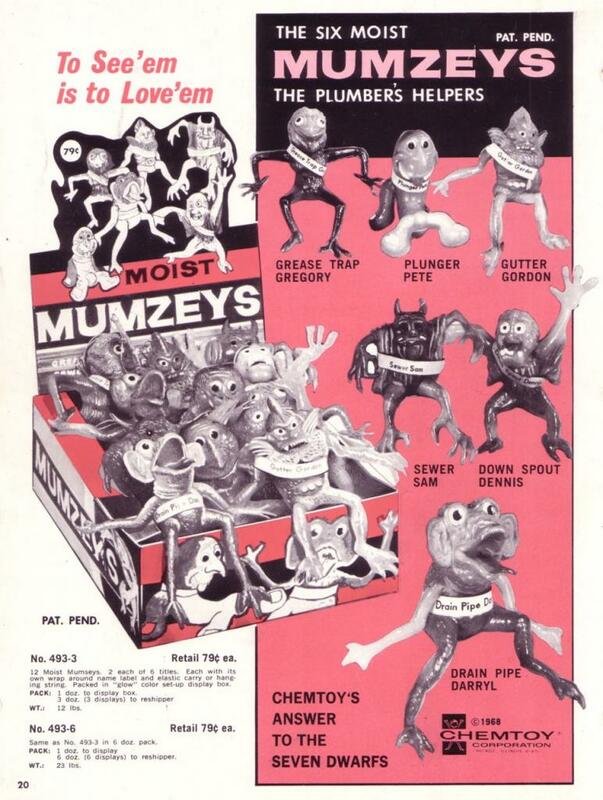 First we have the Moist Mumzeys by Chemtoy. 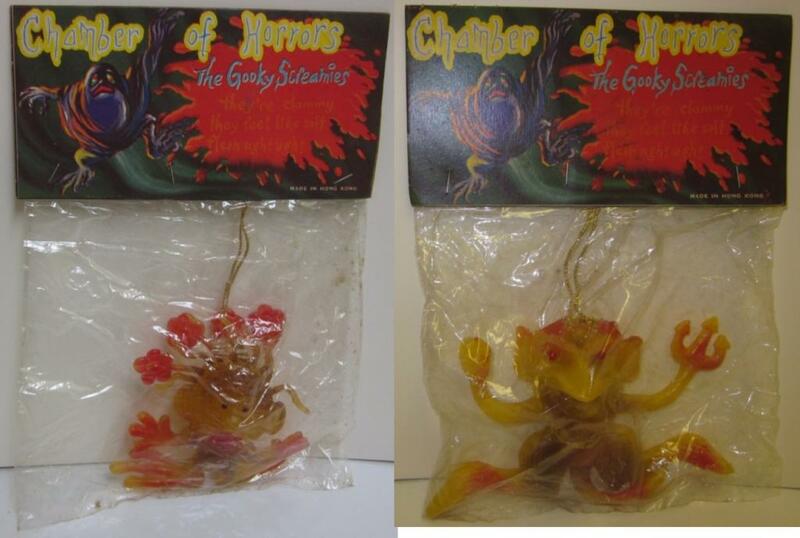 These jigglers are approximately 6" and were cast in soft orange or red rubber. These were issued in 1968, the same year that the Outer Space Men were released. 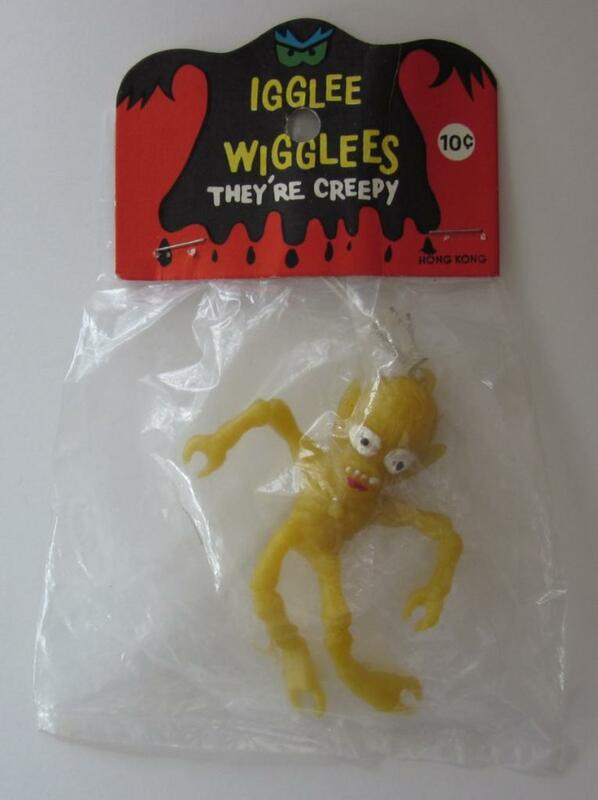 They were mostly knock offs of other toys. to trade. Special thanks to my friend Steve for getting me a high resolution photo of this ad. 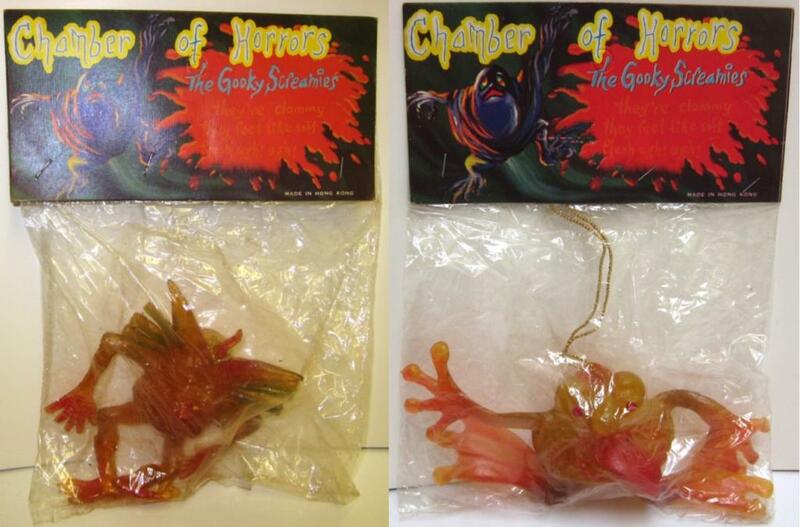 Next we have the Chamber of Horrors Gooky Screamies. 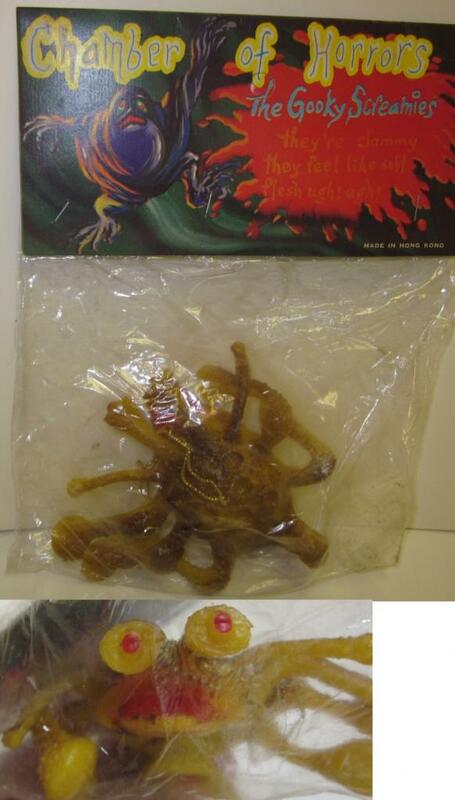 These were a line of monster jigglers that initially came in bags with cards. Here is the one of Colossus Rex that I own. 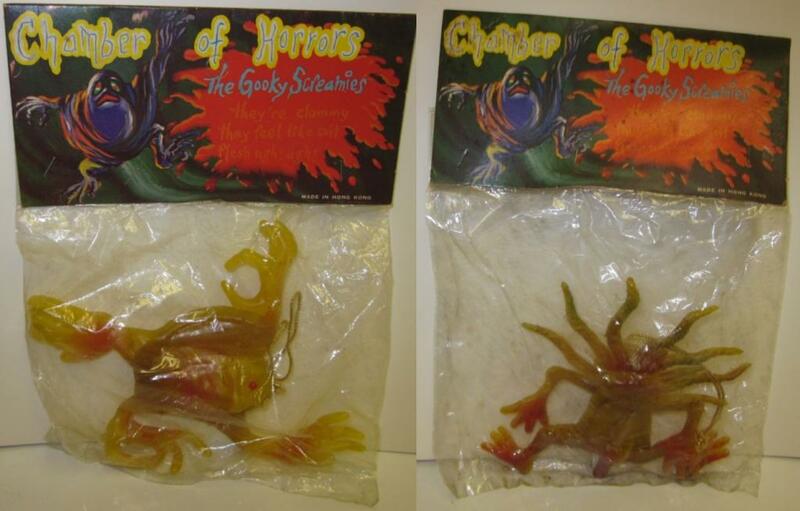 A collector from New England graciously sent me photos of a bunch of Gooky Screamies mint in the bags. 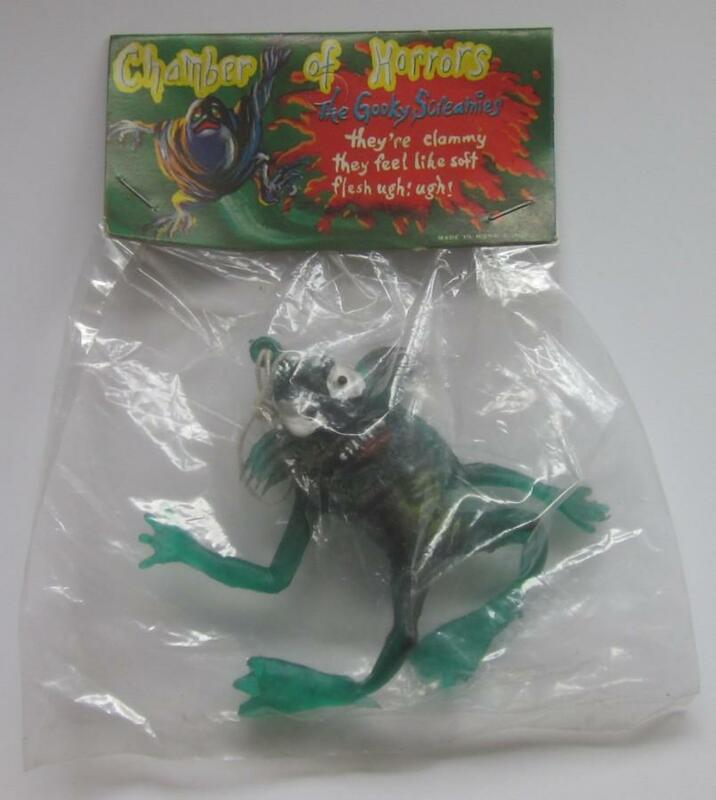 eyes custom added or was manufactured this way, but it does look very cool.